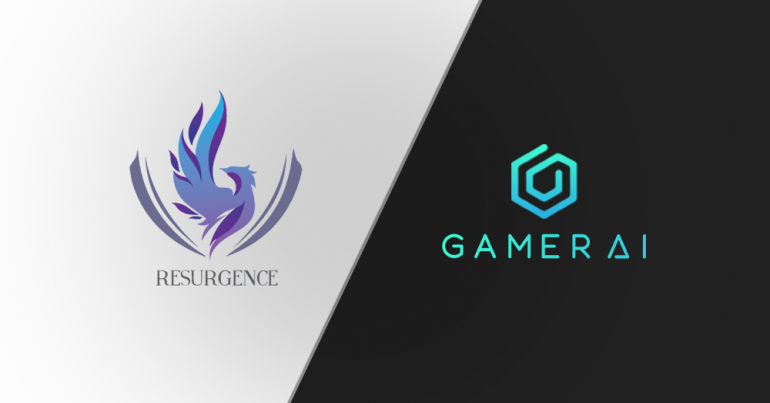 GAMURS Group, the leading esports media network, is partnering with Resurgence, Singapore’s premier esports organization, as another test partner for its groundbreaking artificial intelligence software that targets esports and gaming. Resurgence, which has an office and training facility in Singapore, fields 12 teams that play across nine games including League of Legends, CS:GO, Dota 2, Hearthstone, PUBG, Starcraft 2, Fortnite and mobile titles like Arena of Valor and Mobile Legends. Last year, Resurgence has competed in over 60 tournaments, with 17 championship wins and consistent qualifications to high-level tournaments including the Asian Games 2018 and BlizzCon 2018. GAMURS’ flagship brand, Dot Esports, is the premier worldwide news outlet covering esports. The company’s new AI software, GamerAI, uses a combination of artificial intelligence and machine learning to predict win rates and refine team combinations, as well as overall strategy. GAMURS will provide the AI technology to Resurgence, whose players will use GamerAI on a trial basis to evaluate how the software benefits their training and overall performance. This partnership aims to monitor the professional esports teams and provide helpful insights to a larger and more casual or semi-pro player base using the GamerAI companion app. It will also be able to provide specific training for individual players, run predictive analyses for tournament results, and more. This deal builds upon a growing group of partners that started with the Adelaide Football Club, based in Australia. GAMURS Group is the leading esports media network shaping the future of gaming. We strive to inform, entertain, and educate the global gaming community through our content and services. Our flagship platform, Dot Esports, is an all-in-one platform offering our members breaking news, in-depth coverage of esports personalities and events.